Google on Thursday said that it is “forgetting” things in Europe to comply with a legal ruling granting people the power to have certain information about them removed from searches. “This week, we’re starting to take action on the removal requests that we’ve received,” Google said in an email response to an Agence France Presse inquiry. The California-based Internet search colossus continues to work with data protection authorities to refine processes and standards regarding what information about people merits removal and which deserves to remain in the best interests of the public. 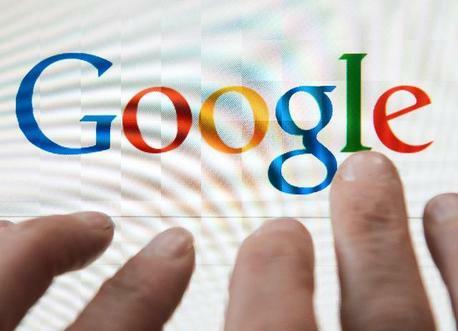 A Google spokesman said the world’s leading search engine received 12,000 requests from people seeking to be “forgotten” the day an online form went live in May. Google set up the form page to allow Europeans to request the removal of results about them from Internet searches. In May, the European Court of Justice ruled that individuals have the right to have links to information about them deleted from searches in certain circumstances, such as if the data is outdated or inaccurate. Google has said that each request would be examined individually to determine whether it met the ruling’s criteria. The ruling on the right to be forgotten comes amid growing concern in Europe about individuals’ ability to protect their personal data and manage their reputations online. “The court’s ruling requires Google to make difficult judgments about an individual’s right to be forgotten and the public’s right to know,” a Google spokesman said in a previous statement. Google created an advisory committee to help strike a balance between freedom of information and people’s rights when it comes to not being haunted by untruths or acts from the past on the Internet. The group includes former Google chief Eric Schmidt, Wikipedia founder Jimmy Wales, Oxford Internet Institute ethics professor Luciano Floridi, Leuven University law school director Peggy Valcke, former Spanish data protection agency director Jose Luis Pinar and U.N. envoy on freedom of expression Frank La Rue. Links will only be removed in Europe, where a message accompanying search results will indicate that they have been modified to comply with legal requirements there. Any links removed from searches in Europe would continue to appear in Google results displayed as they typically would in other geographic regions. The court ruling has raised concerns about online censorship and how Internet search works in various countries. Worries also arose that letting people edit their online histories could hamper investigative journalism. The case highlights growing concerns about so-called online reputation management, which has spawned an industry that helps eliminate or minimize damaging information online. “Despite what some people have claimed, the right to be forgotten isn’t about censorship,” said John Simpson of non-profit advocacy group Consumer Watchdog. Simpson called for Google to grant the same right to be forgotten to people in the United States. We reject supernatural gods on the notion they are not scientifically provable. Thus, Googlists believe Google should rightfully be given the title of “God”, as She exhibits a great many of the characteristics traditionally associated with such Deities in a scientifically provable manner. We have compiled a list of nine proofs which definitively prove Google is the closest thing to a “god” human beings have ever directly experienced.